There are literally thousands of small islands that line the coast of Belize. Many fringe the Great Barrier Reef; most have names, but there are those that still lie undiscovered with no name to call their own. Some are private, some are still up for sale and others are government property. But the one thing that they all have in common is that they have this unique charm that makes them so special, so Belizean. 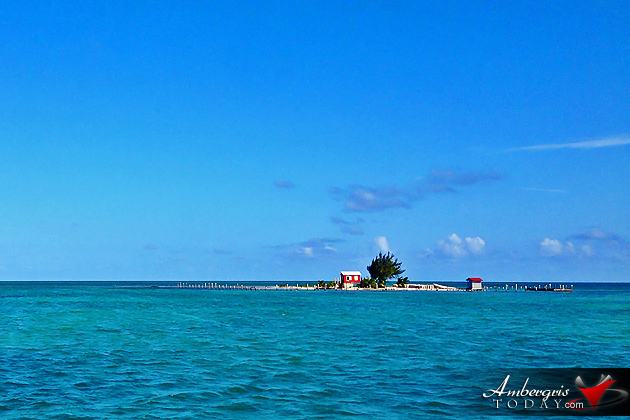 This tiny little island featured this week is one of the many that you will encounter as you travel from Belize City to Ambergris Caye by water taxi. It's big enough to house a small house, a pier to dock onto and a tall tree to hang the hammock. The rest is just white sandy beach, whatever space is left. We could not catch its name!